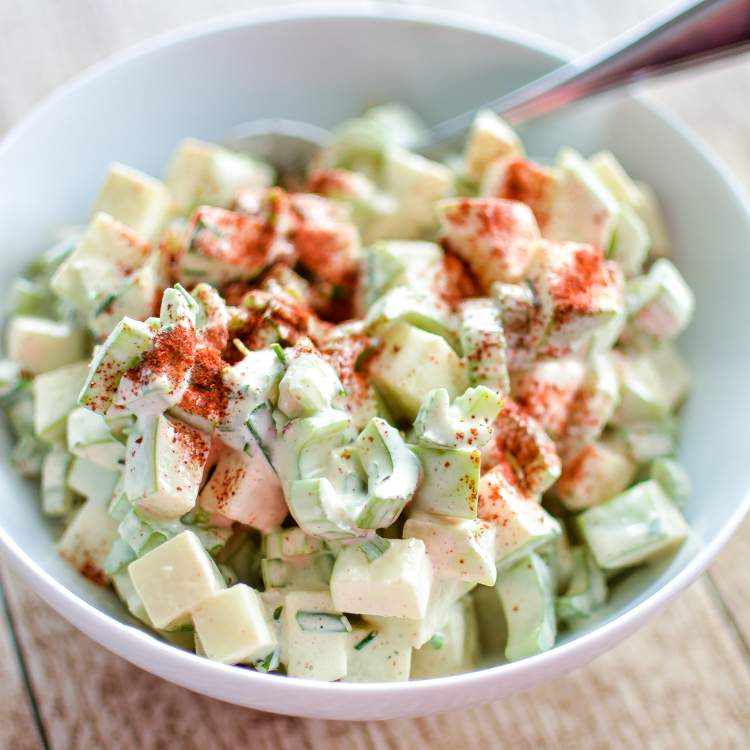 Chilled apple slaw recipe makes for the perfect topping on a summer hot dog! 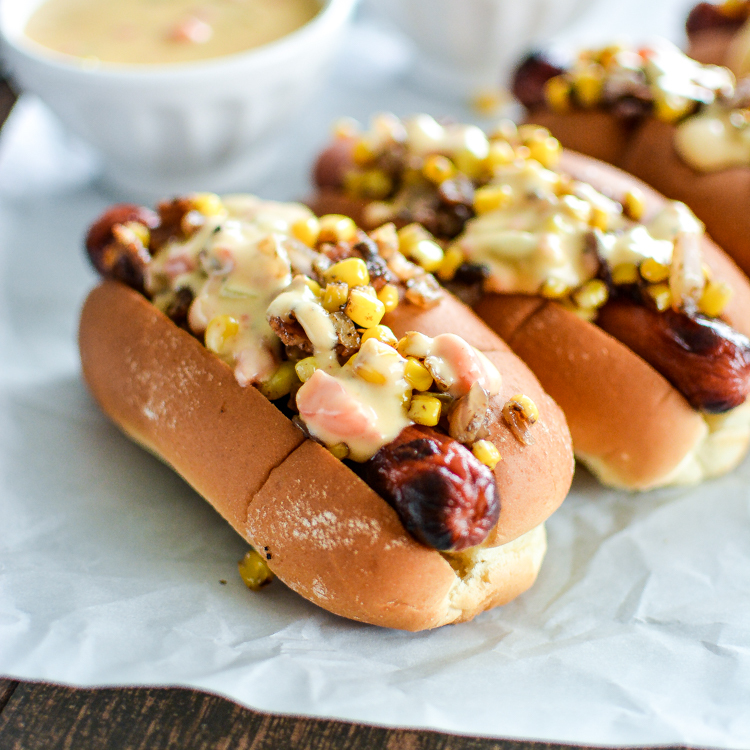 Pretzel Hot Dogs with Maple Bacon Mustard are the perfect snack or appetizer recipe with the perfect dipping sauce!! 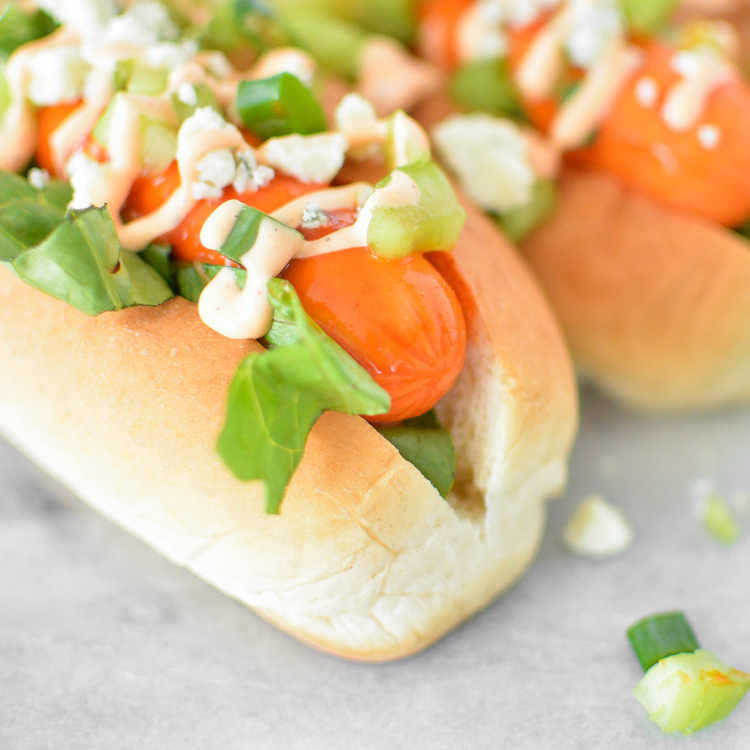 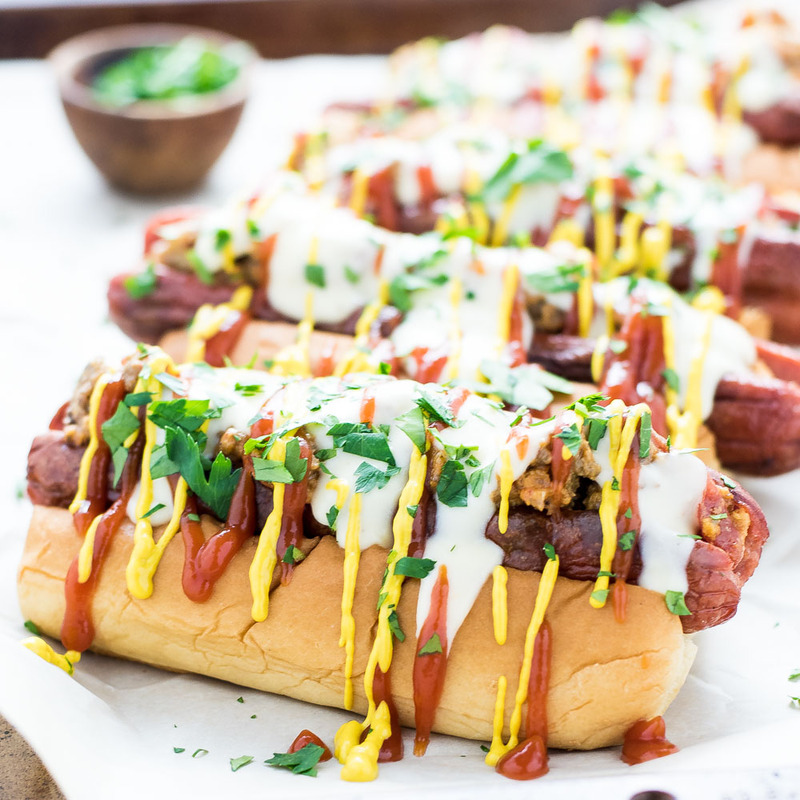 These lighter buffalo chicken hot dogs are a fun spin on a classic picnic food! 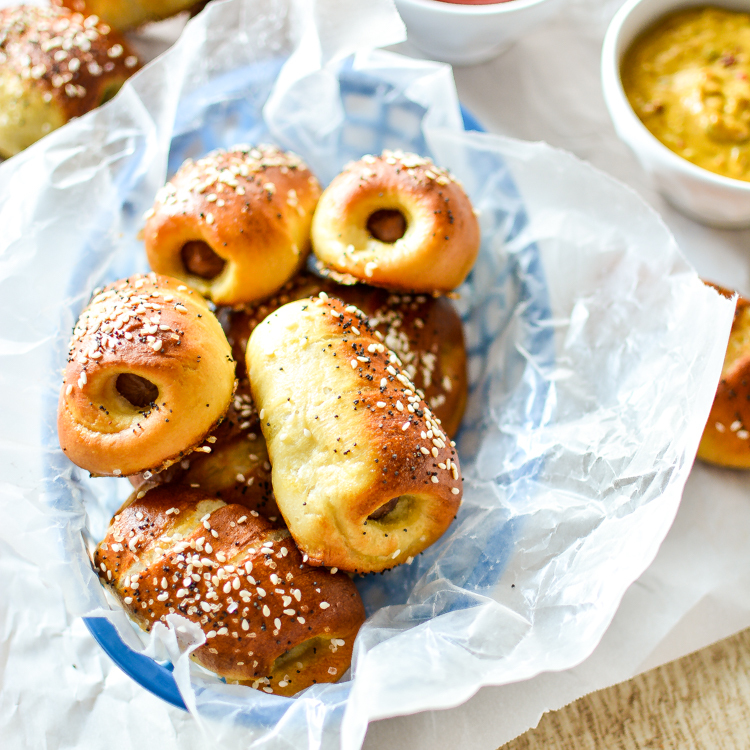 Serve them at your next outdoor get together!